During the the Murten / Morat Light Festival you can meander through the streets of Murten and discover animations combining sounds and lights. A projection done on the wall of the primary school, located in front of the Berntor, will engrave the main animation as well as a music and light spectacle in the german church. 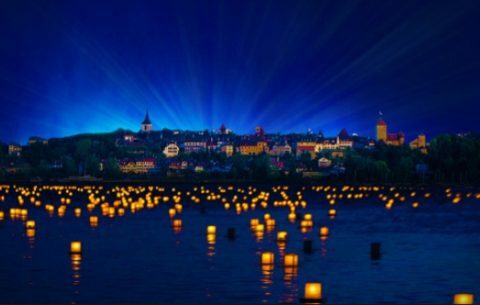 Some local artists will also present on several places along the Murten Lake their animations and light messages.